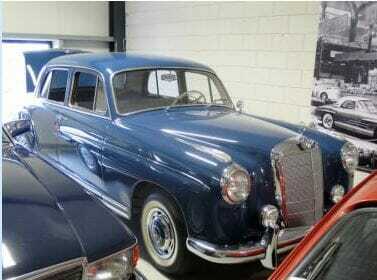 The fifties - The "Ockhuisen" Mercedes-Benz Collection. 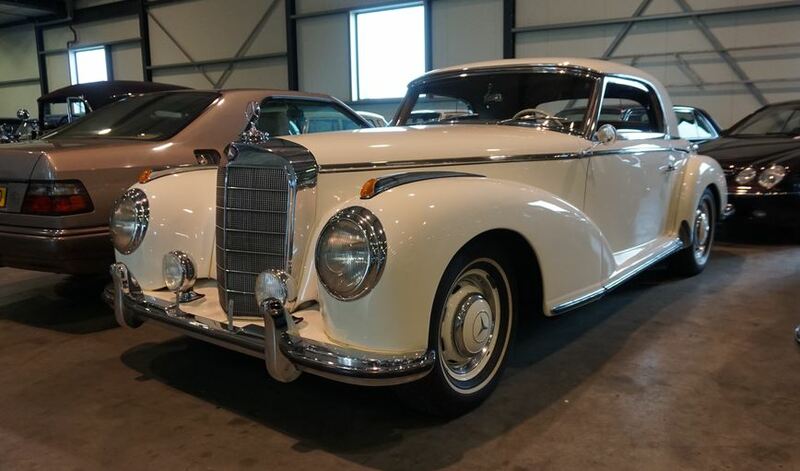 In October 1951 – one month before serial production of the 300 model was launched – another top model, the 300 S model, was presented at the Paris Motor Show; this completed the now well rounded production range of Daimler-Benz, which – as before the war – fulfilled the highest expectations. 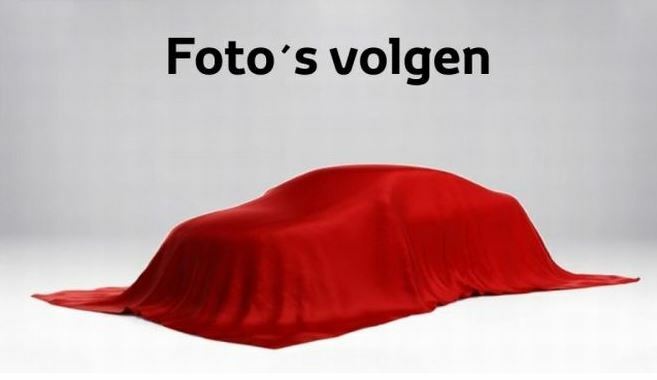 The new model was positioned as a parcticularly representative car with sports-car characteristics and it met the highest demands with regards to roadability and speed. That the 300 S model indeed justified this high ranking was demonstrated by the judgement of the international motor press. The press hailed the new model as “car of the world elites” and as a “model for what can be achieved today in automobile construction” . The car also won praise for its “traditional and in this case particularly noble form […] without taking recourse to aerodynamics”. 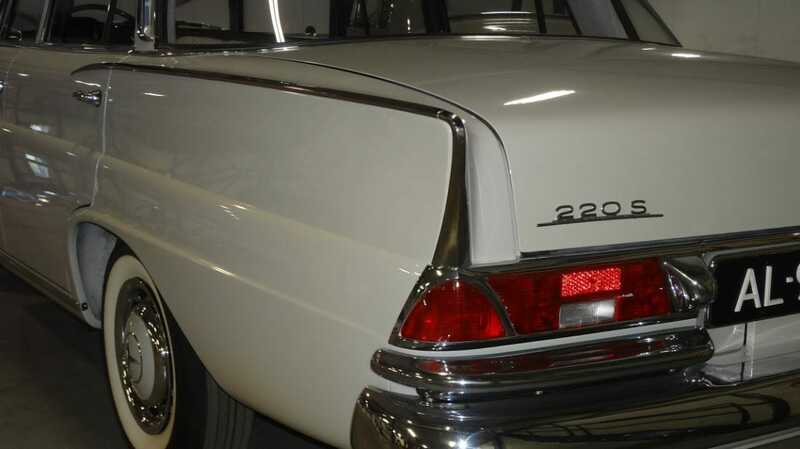 Technically the 300 S was derived mainly from the 300 model. 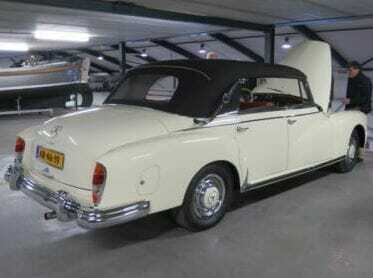 In contrast to the 300 model, however, it had a curtailed chassis with a wheelbase, which was 150 mm shorter. 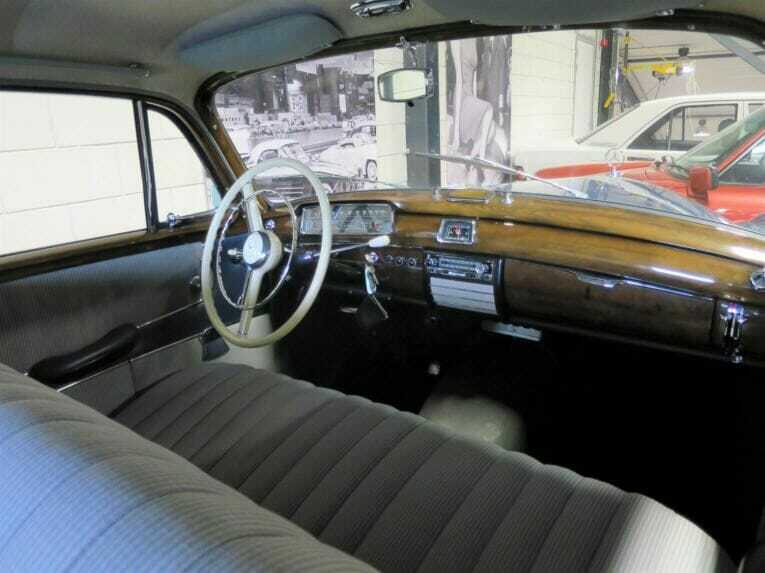 Higher compression and the addition of three carburettors boosted engine power to 150 hp. This made a maximum speed of 175 kph possible. 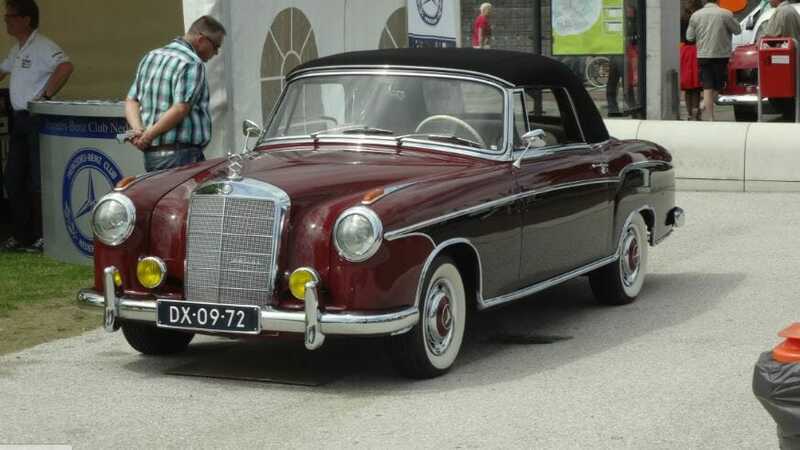 The 300 S model was available as Cabriolet A, as roadster and as a coupé. 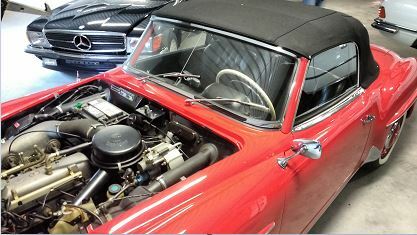 The roadster basically corresponded to the Cabriolet A, but it had a lighter, fully retractable hood without coach joints. 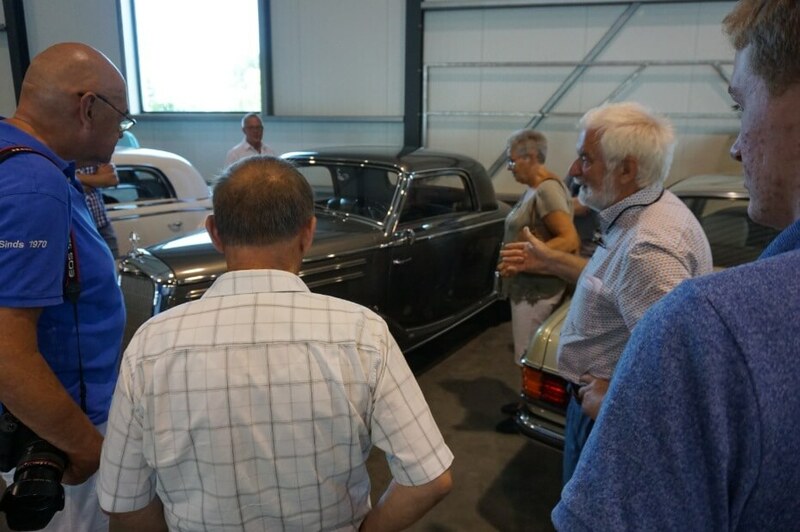 Serial production of the three versions started between June and September 1952. 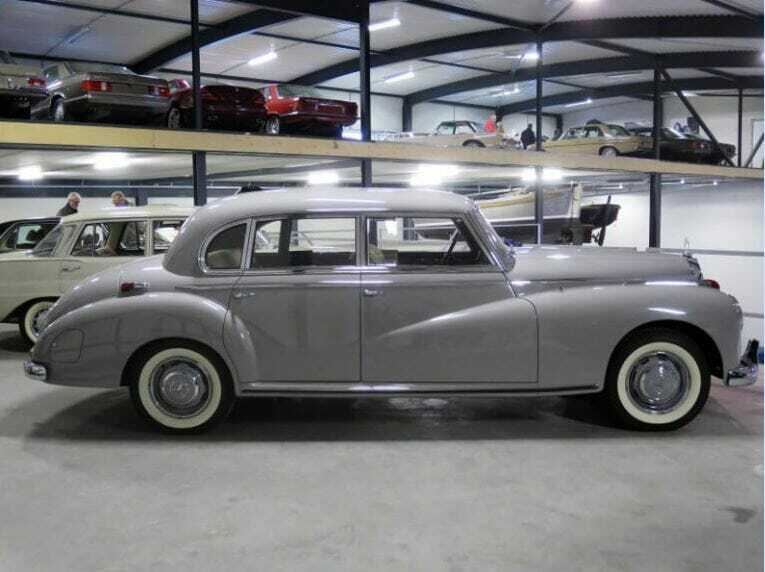 In September 1955 a revised version of the 300 S model was presented together with the 300 c at the Frankfurt International Motor Show. 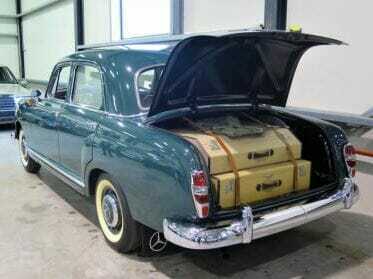 The most significant changes had taken place in the rear axle and the engine. 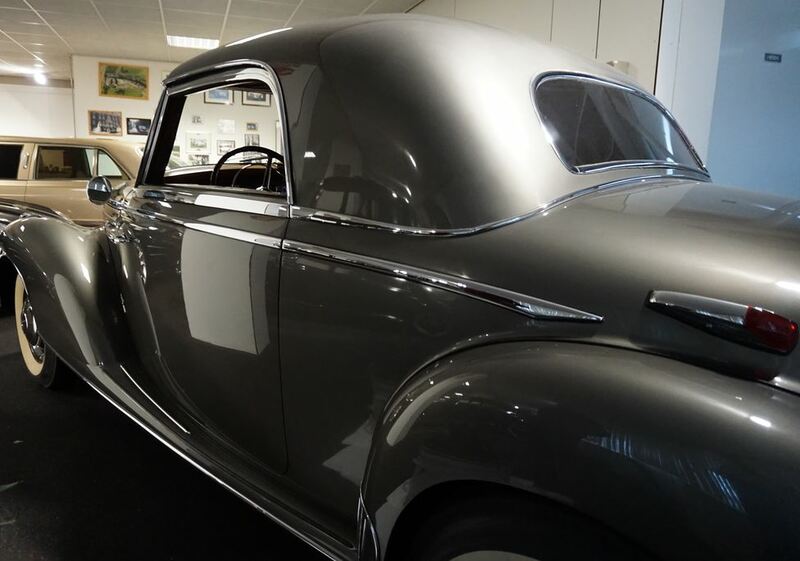 The revised model, internally called 300 Sc, had a single-joint cross shaft axle with a low pivot, like the 300 c. Carburation did no longer take place with the help of three carburettors but by direct injection; as a result, engine power was increased to 175 hp. 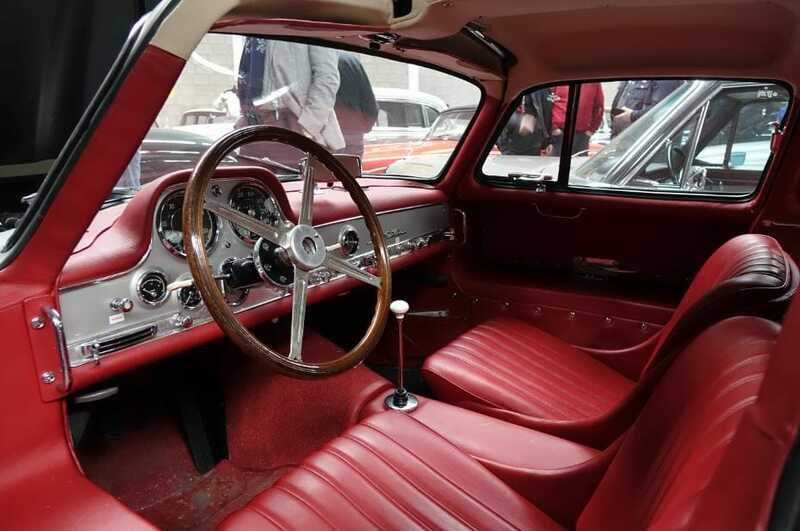 The body, too, had been modified: the 300 Sc had swivel windows and bigger indicators at the front and the rear. 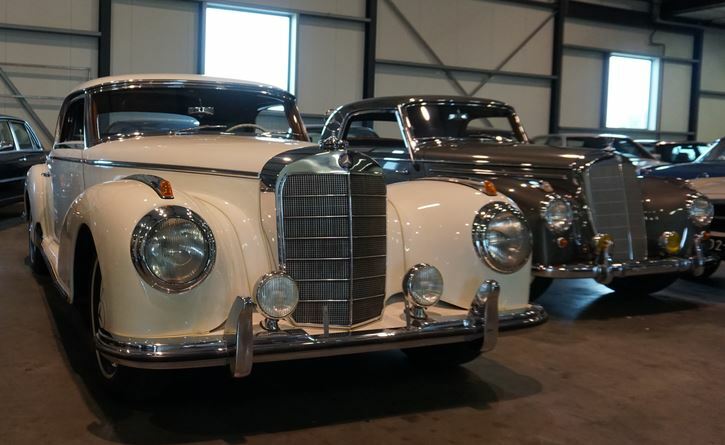 New distinguishing features were also two horizontal chrome lined bonnet louvers on both sides as well as chrome trims extending from the front to the rear wheel arches. A chrome sign “Einspritzmotor” (injection engine), attached to the boot lid below the handle indicated that the car had a more powerful engine. 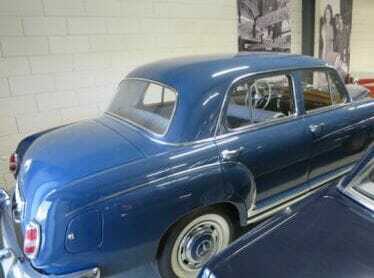 Inspite of technical and visual improvements only 200 cars were produced of the three body versions of the 300 Sc. From the beginning of 1957 public interest in the car had almost died down so that production of the 300 Sc was phased out in April 1958. 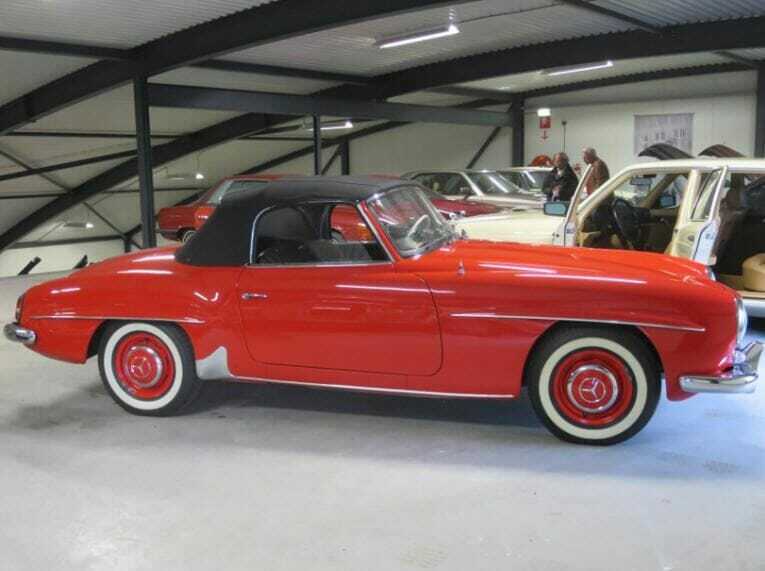 Part of the reason for this development was probably the new 300 SL Roadster which many potential customers found more attractive – it combined modern design with an increased driving performance and it was, last but not least, DM 4,000 cheaper. 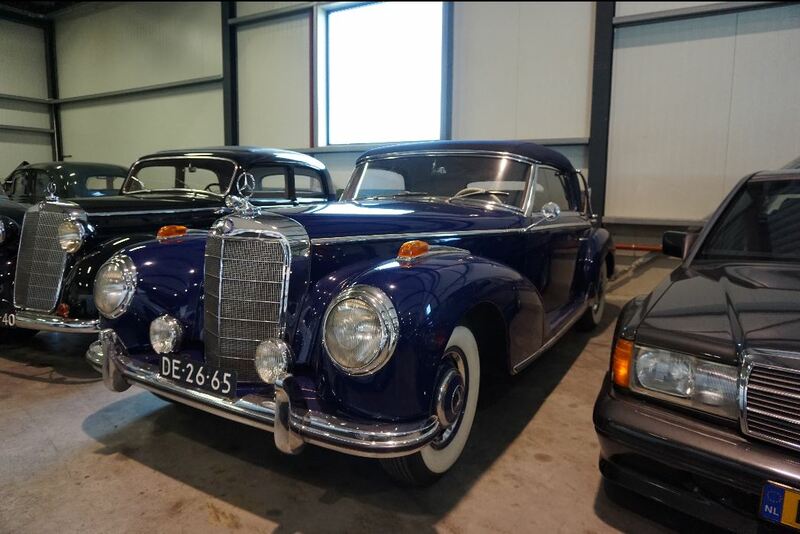 Both versions, the 300 S as well as the 300 Sc, belong to the most exclusive Mercedes-Benz passenger car models of the post-war era and, together with the 300 SL, they are the most sought after models among car lovers. 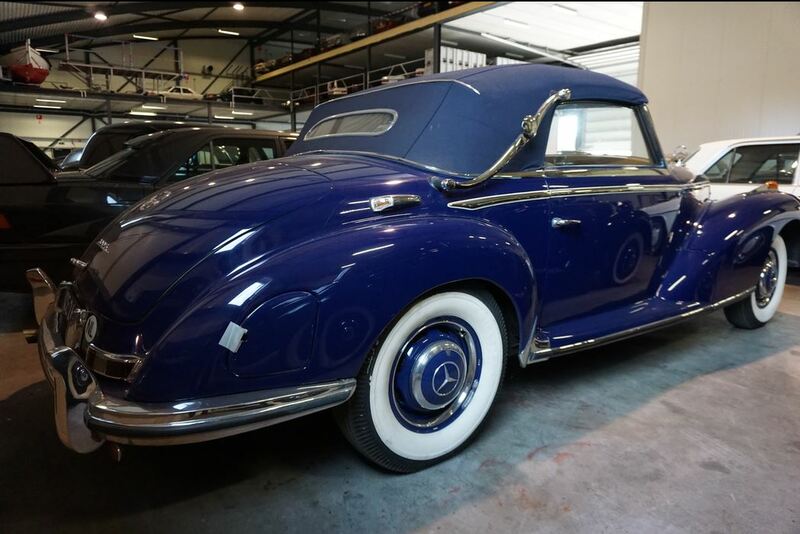 This 300 S convertible dates back to the ‘50s and even back then was a high-priced vehicle, only affordable to the well-off. 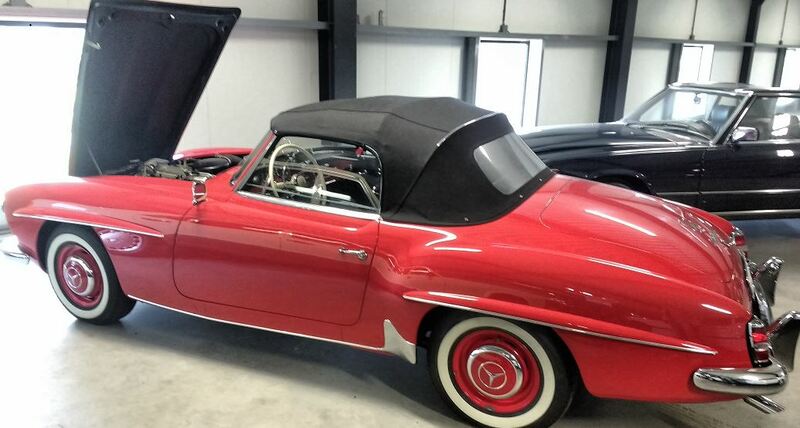 The convertible is a favorite vehicle among collectors as only a handful were made. 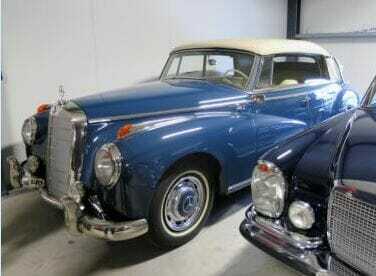 A Mercedes-Benz typically is found in higher society. This was the case even before the second World war, a fact of which the brand doesn’t like to be reminded. In contrast the association with the post war, highly respected, Chancellor is a lot more positive. 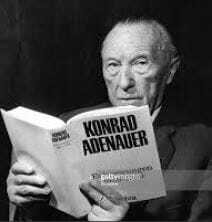 Konrad Adenauer chose the 300 as the vehicle of choice for his personal transportation, after which that particular model quickly got the nickname of Adenauer. 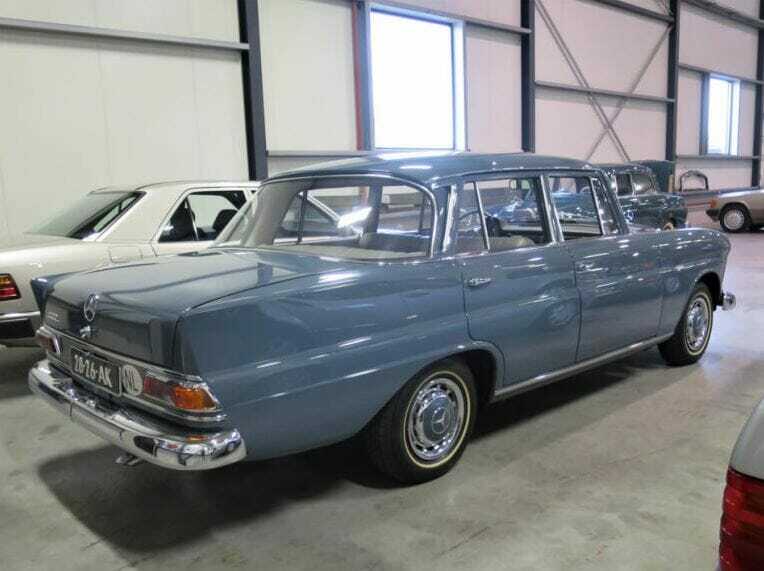 The chassis is so strong that there is hardly any torsion to be found in this limousine without a B-pillar. 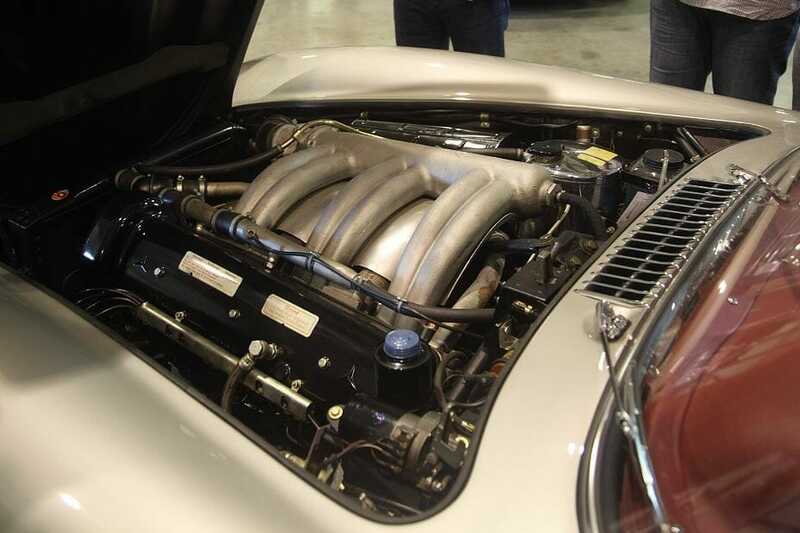 The Adenauer is in such impeccable condition that when opening the hood and observing the engine the car seems to have just rolled off of the assembly line as if it were only yesterday. 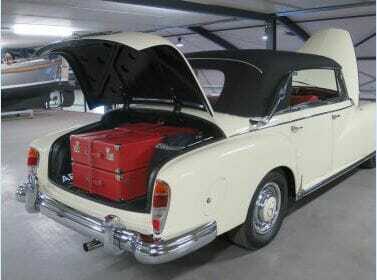 As bespoke luggage set especially made for this model can be found in the trunk of the convertible. 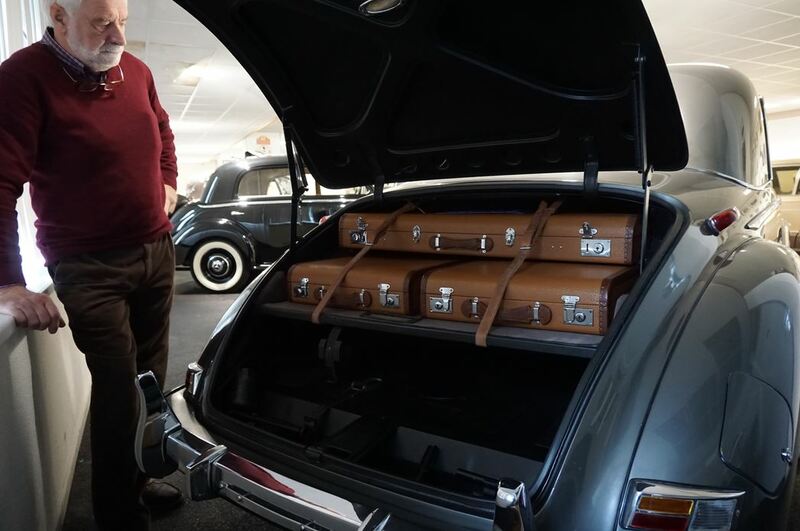 The trunk is very generous in size, although somewhat awkward in its practical usability due to the vertical placement of the spare. 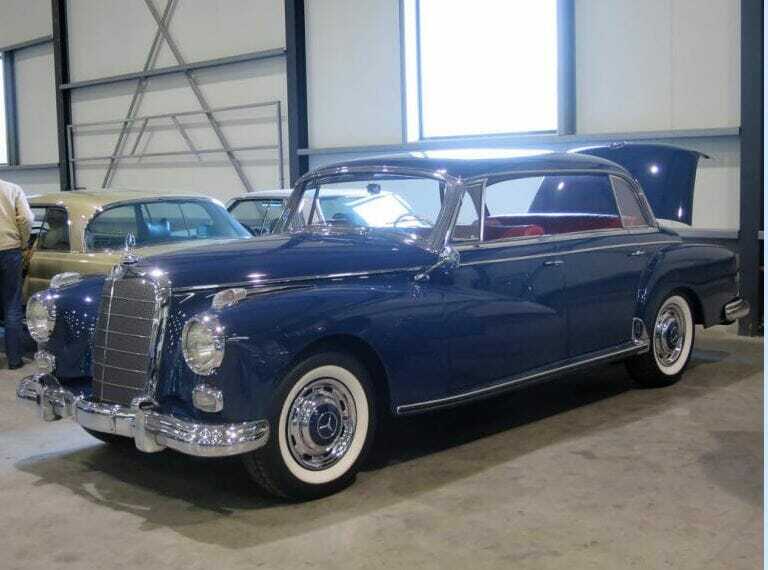 The Mercedes-Benz W186 300S was produced from 1951 till 1957. 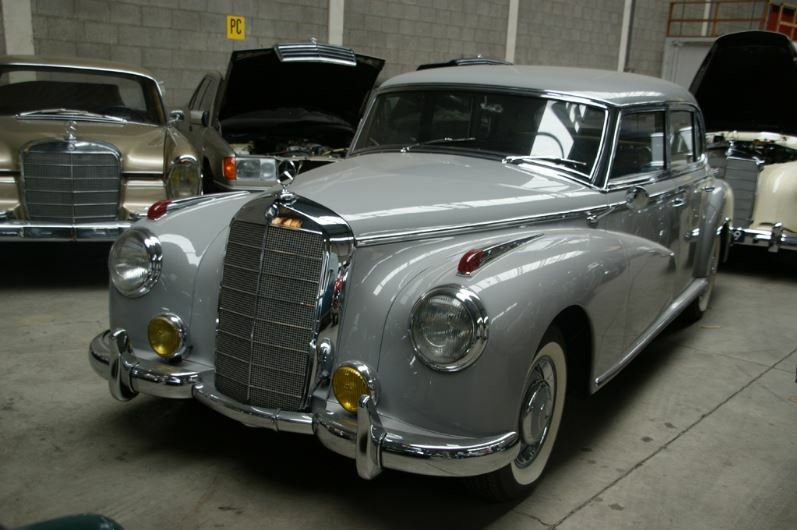 The Mercedes-Benz W187 is a full-size luxury car produced by Mercedes-Benz from 1951 to 1955. 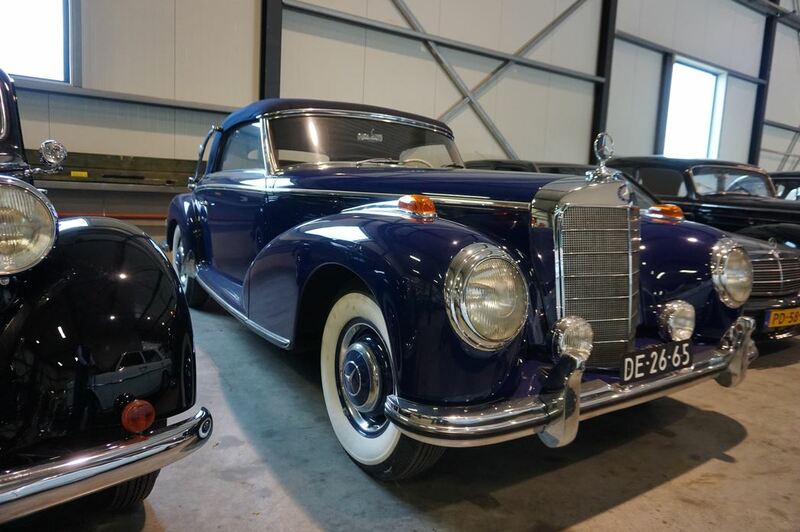 Introduced at the Frankfurt Motor Show in April 1951 it was powered by a single overhead camshaft inline six-cylinder M180 engine and available as a saloon, coupé (1954/1955), and cabriolet, all designated with the 220 model name. 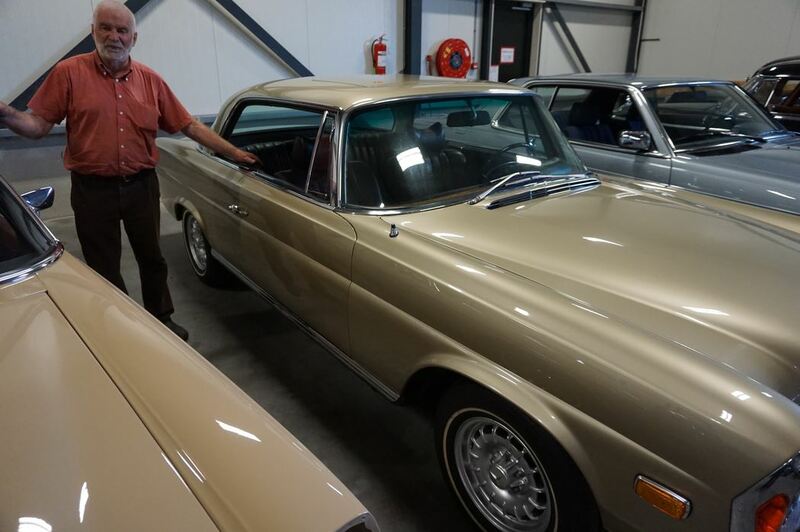 This coupé, which commissioned the US importer is produced by Mercedes-Benz and, was only available for the US market is in an edition of 85 pieces. 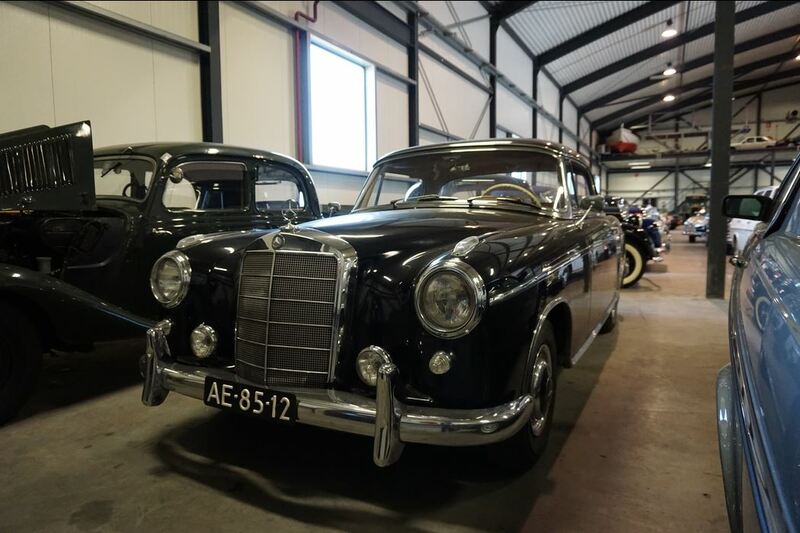 In 1954 and 1955 the 85 of the W187 coupés were actually sold. That makes the coupé a very rare vehicle. 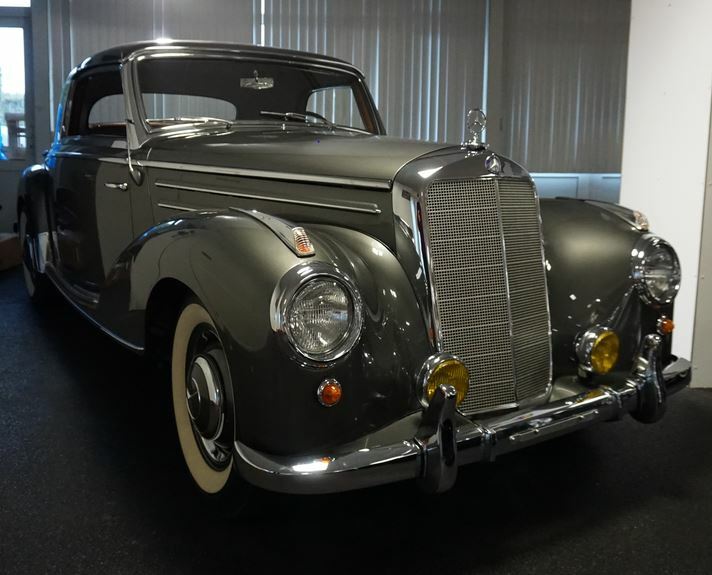 The styling of the W187 was similar to that of the Mercedes-Benz W136 170S except that the 170’s freestanding headlights were for the 220 integrated into the fenders for a slightly more modern look. 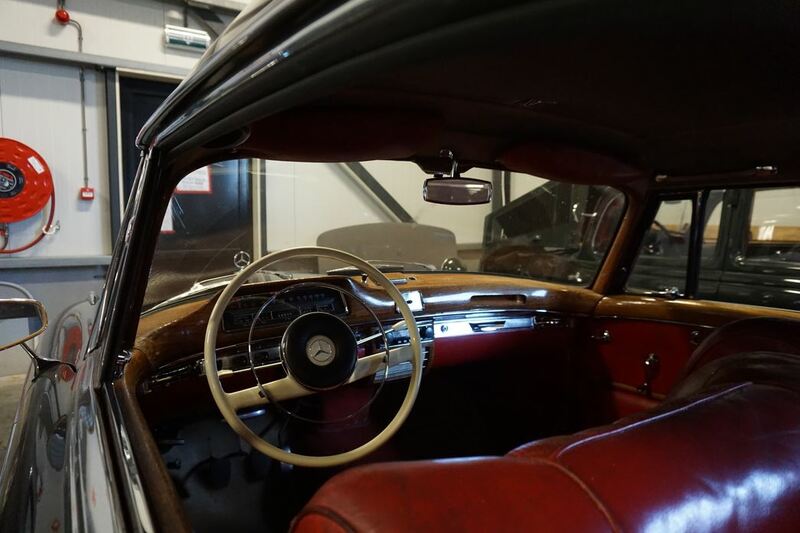 During 1953 the manufacturer replaced the conventionally flat windscreen on the 2/3 seater “Cabriolet A” with a slightly curved screen, which also found its way on to the new coupé who was introduced at the end of 1953. 1953 – 1962. 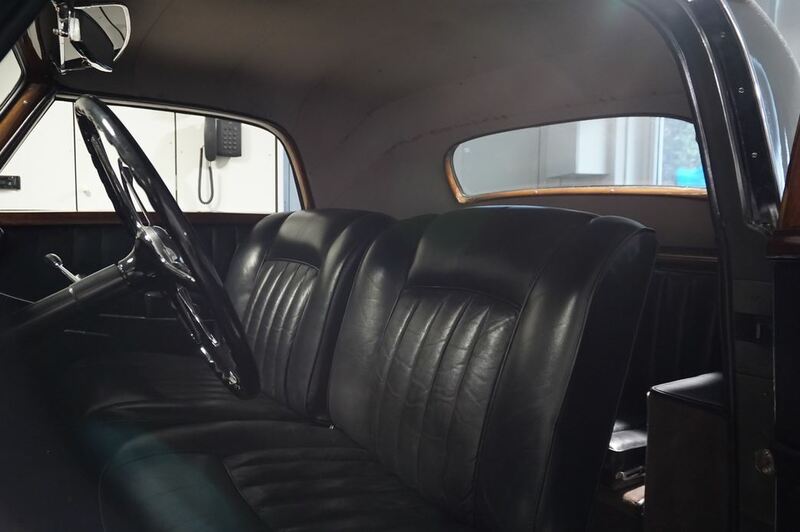 With the Ponton we still see a continuous single front bench seating arrangement, instead of a separated driver and front seat passenger seat set-up. It is possible to compare the four- (right) with the six cylinder (left) models. 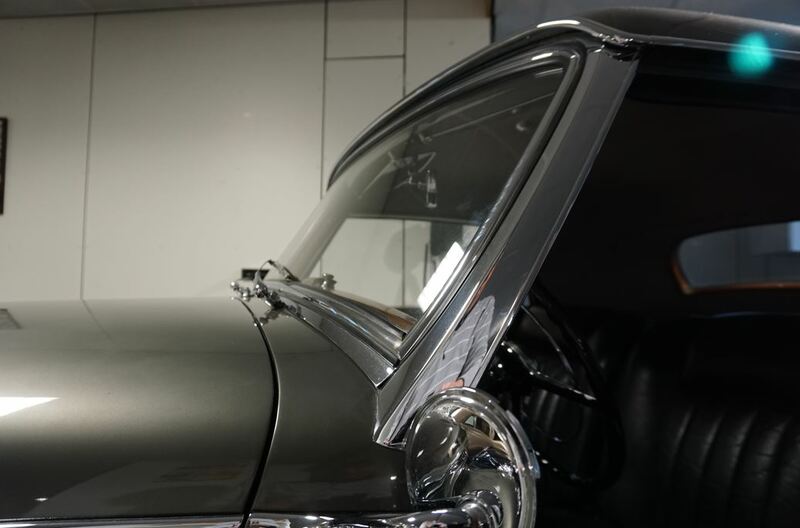 Besides a difference in engine size, a slight variance in the length of the hood, as well as the amount of chrome used are clear reference points by which one can differentiate between the two models. 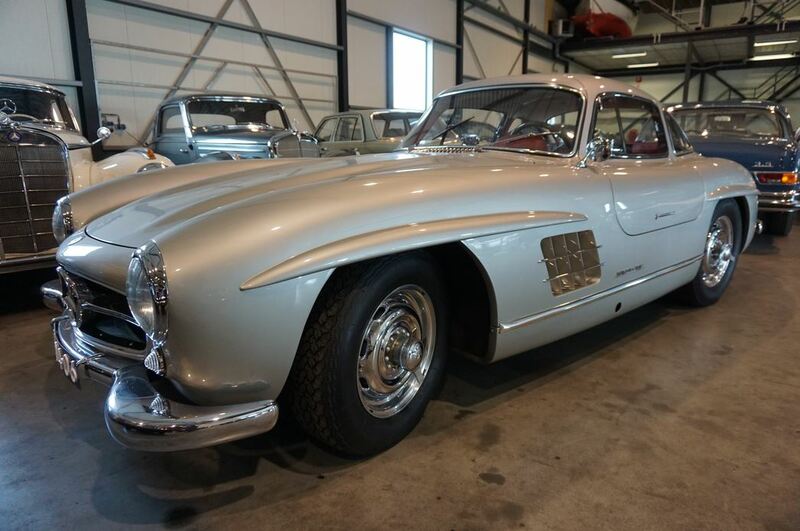 SL “Sport & Light” Gullwing 300SL, 1954 – 1957. It’s all about the details! This model has distinctive race rims and a special steering wheel. 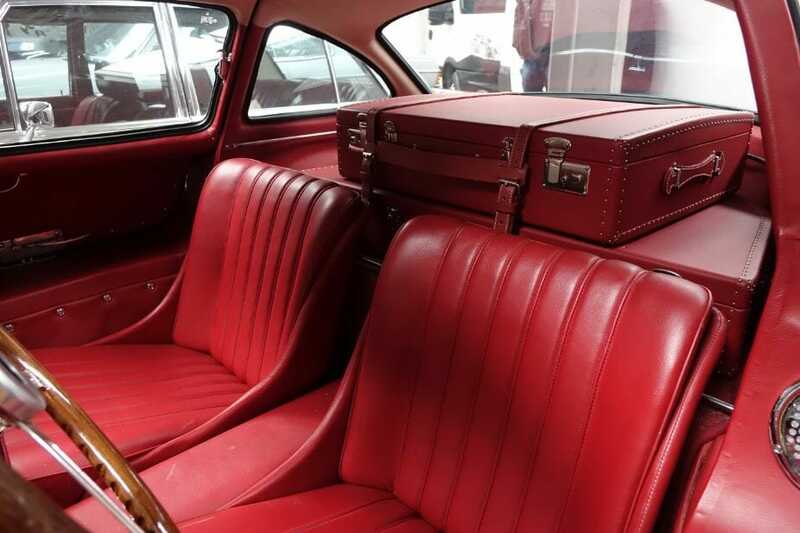 Also notice the bespoke matching luggage set, the price of which could buy you a small new car nowadays. 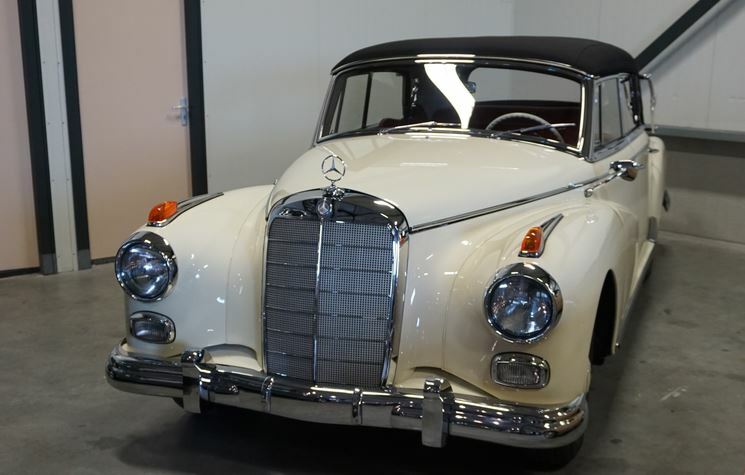 190 SL “Sport und Leicht” Roadster W121, 1955 – 1963. 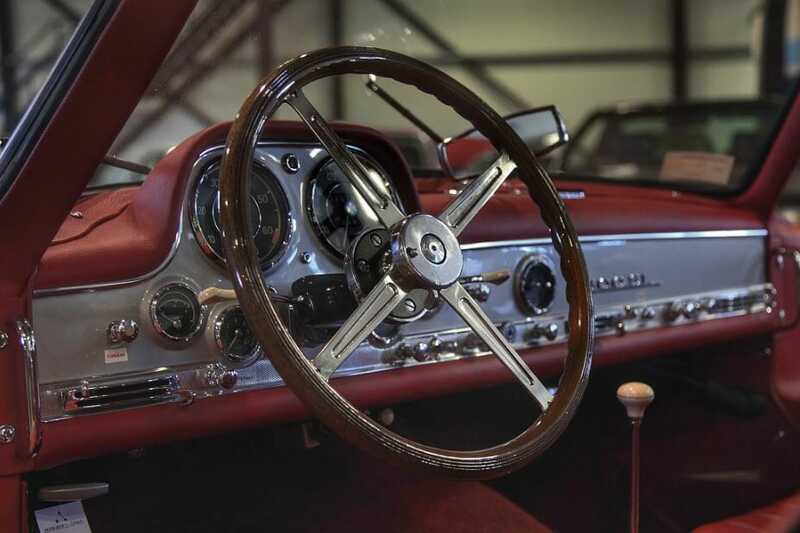 One highlight in the history was the premiere of the Mercedes-Benz 300 SL Roadster (W 198) at the Geneva Motor Show from 14 to 24 March 1957. 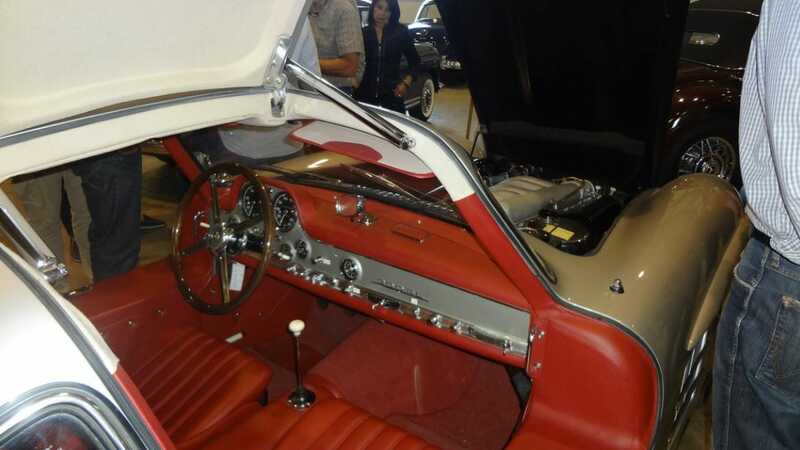 By 1963 a total of 1858 units of the roadster were built, and from 1958 it was also available with a hardtop. 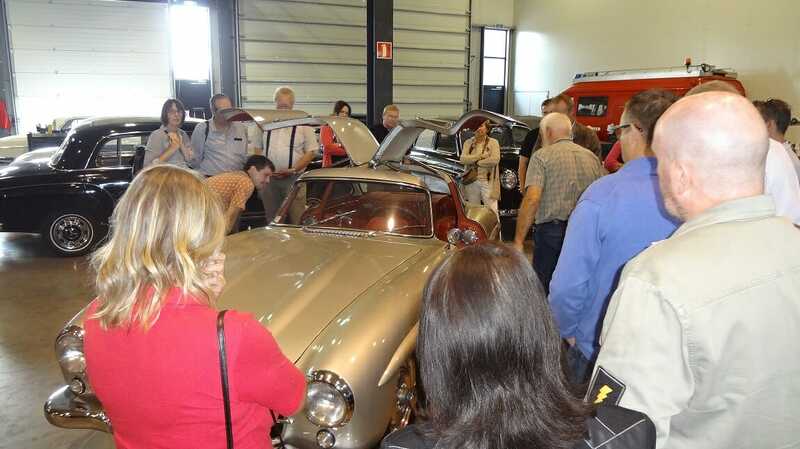 Click Here for more informatiom about the W198 300SL Roadster. 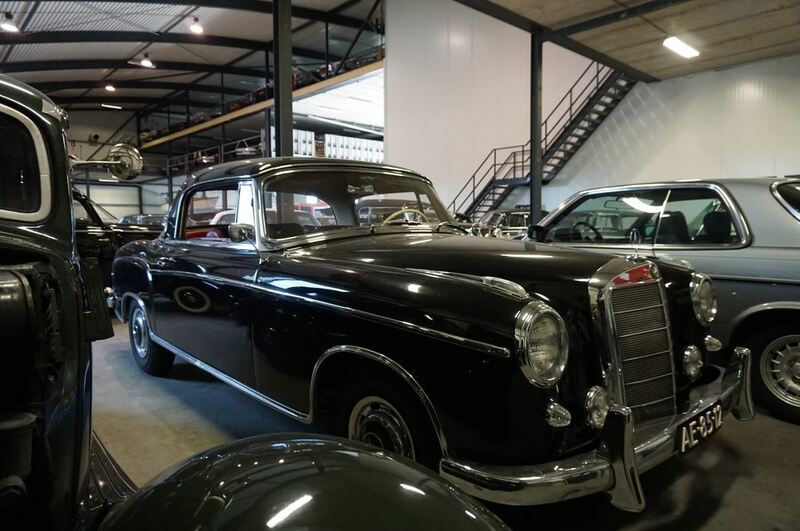 Production of the Heckflosse W111 started in 1959. 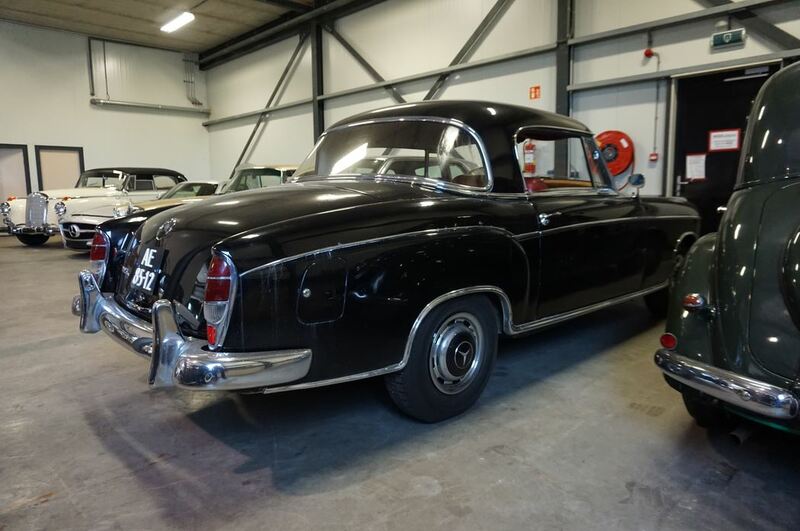 These cars quickly got the nickname ‘’Flosse’’ or ‘’Heckflosse’’. 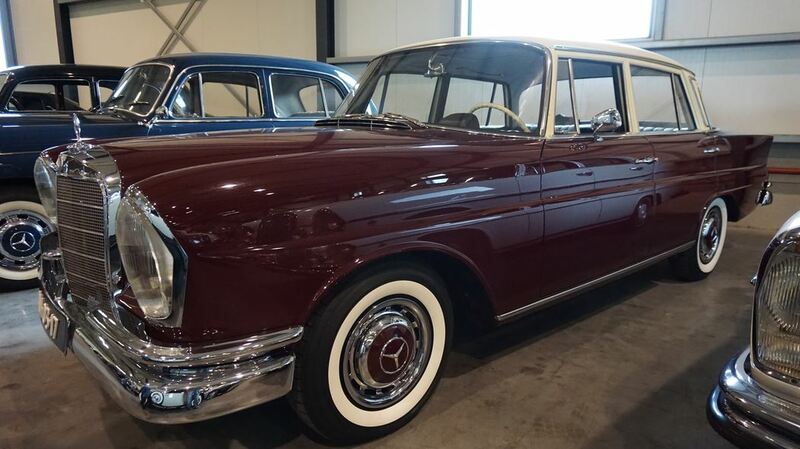 Of the W111 series 338.003 in total were produced of which 21.098 coupes and 5143 convertibles. 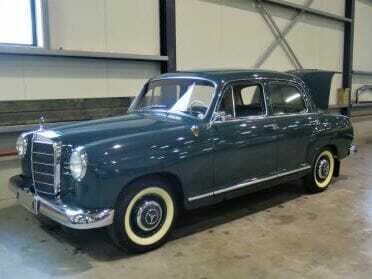 A smaller W110 (1961-1968) model was produced too that got the nickname ‘’small Flosse’’. 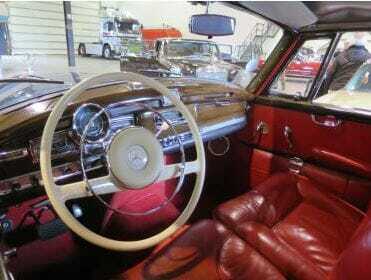 Subsequently there was a more luxurious model, the W112. 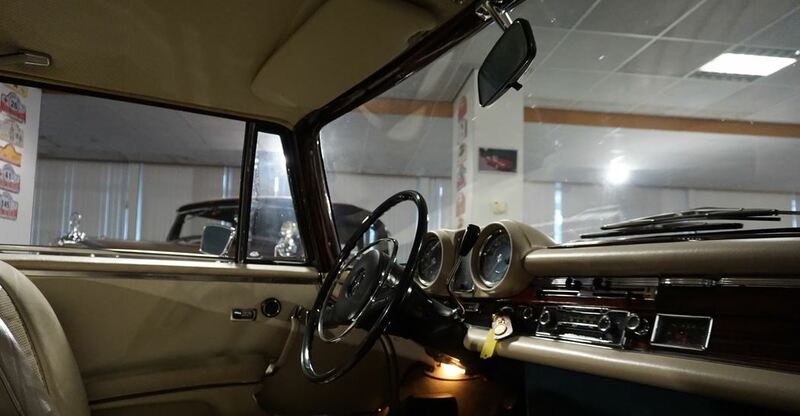 The W112 (196201967) only knew one type namely the 300SE, but was produced as a 4-door sedan, elongated 4-door sedan, 2-door coupe and a convertible. 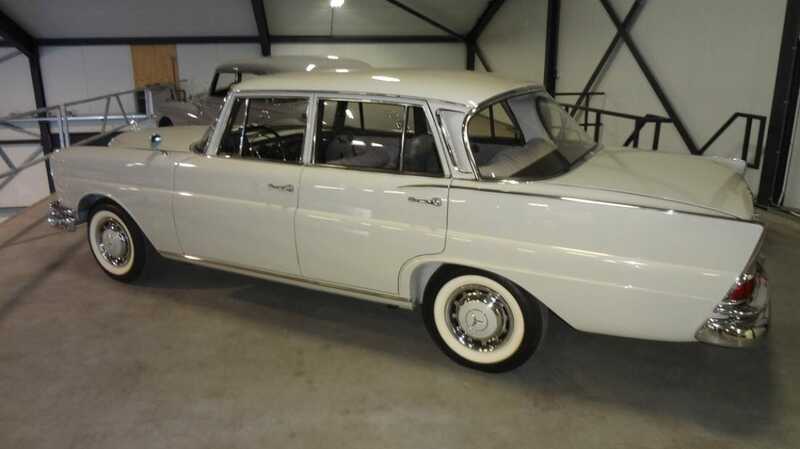 All models however were equipped with the air suspension as standard. 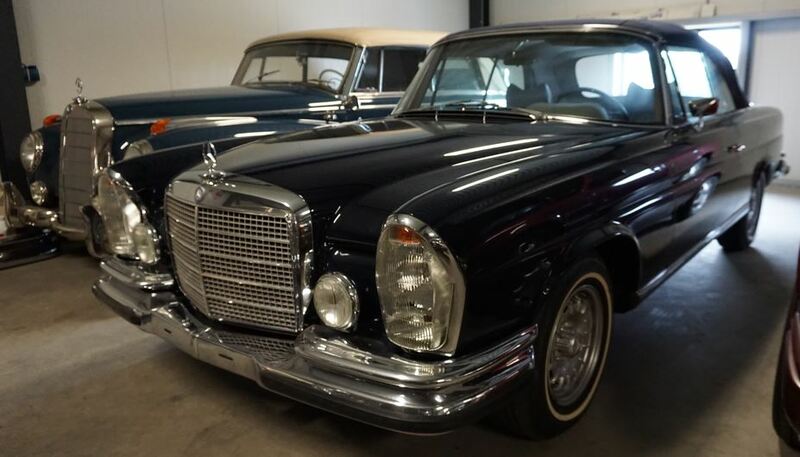 Production of the W111 limousine was discontinued in 1968, however production of the coupes and convertibles continued up until 1971. 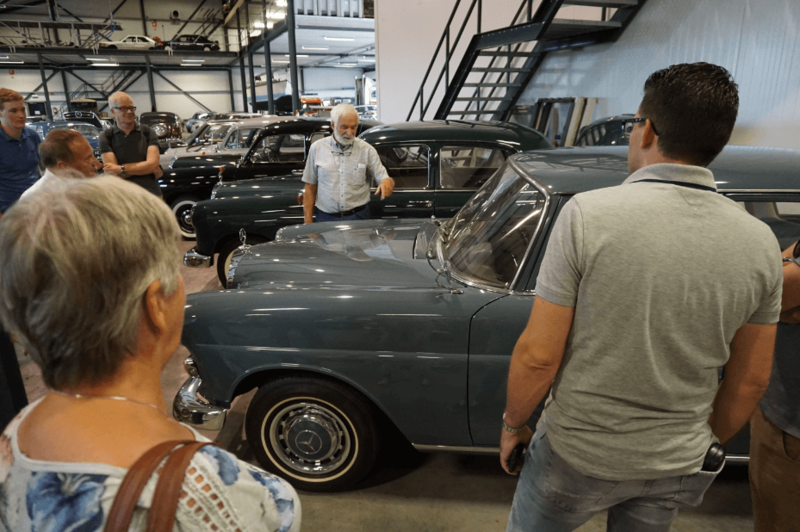 "Click on this button" and discover the Ockhuisen Car Collection from the sixties.